This concert has been cancelled. Click Here for details. 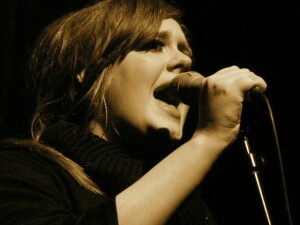 Adele is scheduled to appear in concert at the Hard Rock Live at Universal Studios on Thursday, October 13, 2011. Tickets go on sale on July 22, 2011 at 10 am. Adele Laurie Blue Adkins, otherwise known as just Adele, is a breakout British artists whose single Rolling in the Deep can be heard all over American radio and reached number 1 on the Billboard 100 charts in 2010. Rolling in the Deep is on Adele’s sophomore album 21 after releasing the hit song Chasing Pavements in 2008. Adele won the Grammy Award in 2009 for Best New Artist. Click Here to visit the official webpage for the Orlando show on Adele’s official website. Click Here to view all of our featured concerts in Orlando in the month of October. This entry was posted in Calendar and tagged concerts, hard rock live, top 40. Bookmark the permalink.